George Zimmerman was a no-show in a Florida court today as his lawyer entered a plea of not guilty to second degree murder in the shooting death of 17-year-old Trayvon Martin. His expected absence came as Zimmerman's attorney waived his right to a speedy trial, saying he "needs additional time to prepare" for the high-profile case. In Florida, a defendant is entitled a trial within 175 days of being charged, but Zimmerman's attorney Mark O'Mara has told ABC News he would try to prolong the process to allow racial tensions and the emotion associated with the case to subside. 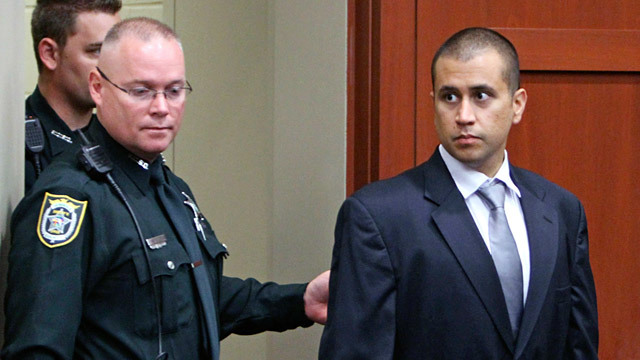 Zimmerman, who was a member of a neighborhood watch group in Sanford, Fla., will be tried for the Feb. 26 shooting death of Martin. He could be sentenced to life in prison if convicted. Zimmerman, 28, remains in hiding and free on bail, but his whereabouts are being monitored by authorities through a GPS ankle device. His living expenses are being covered by the $200,000 accrued over 22 days in March in April in his paypal account. O'Mara later closed that account and set up an independent account overseen by a third party. Zimmerman, his attorney, and the lead prosecutors in the case are preparing for the discovery part of trial preparation. The disclosure by the prosecution of all relevant documents in this case could come as early as his week. Much of it will be redacted in order to protect the identity of witnesses. Zimmerman's attorney tells ABC News that he is expecting to be inundated with thousands of documents related to the case. Included in the files are expected to be hundreds sent to the Sanford, Fla., police department about the case, some of them apparently racist in nature.